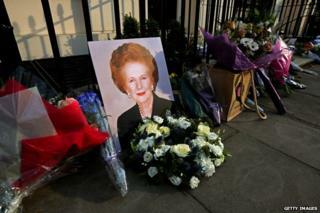 Viewpoint: What if Margaret Thatcher had never been? In the summer of 1970, a week after their local MP had joined the cabinet for the first time, the Finchley Press sent a journalist to interview her. Did she, he wondered, fancy a crack at becoming Britain's first woman prime minister? "No," Margaret Thatcher said emphatically. "There will not be a woman prime minister in my lifetime - the male population is too prejudiced." We know now, of course, how wrong she was. Indeed, the thought of Britain without Margaret Thatcher seems unimaginable today, especially for people of my generation. I was not yet five when she first walked into Downing Street as prime minister, and had just turned 16 when she resigned. For my generation, whether you loved or loathed her, she was always there, a fact of life. But she was not merely the dominant political personality of her generation - she was a transcendent cultural figure who inspired more songs, books, plays and films than any other British leader since Oliver Cromwell. As her biographer John Campbell astutely remarked, if you want to see her legacy, just look around. Yet what was that legacy? Even now, more than 20 years after her tearful exit from No 10, Britain cannot agree. It is often said that she was the most divisive leader of the last century, which is almost certainly true. Yet her impact was much more complicated, even contradictory, than we often think. Margaret Thatcher called herself a conservative, but she led the most radical government in living memory. She promised to restore law and order, yet she presided over the worst urban riots Britain had ever seen. She talked of bringing back Victorian values, yet her decade in office saw divorce, abortion, illegitimacy and drug-taking reach unprecedented heights. She extolled thrift, hated profligacy and even paid for her own Downing Street ironing board, yet she presided over a gigantic credit boom and unleashed the power of casino capitalism. And although she talked of rolling back the frontiers of the state, the stark fact is that, in real terms, public spending rose in all but two of her years in office. In the future, when historians look back at the Thatcher years, the familiar landmarks will surely loom largest - the savage battle over the economy in the early 1980s, the stunning victory in the Falklands in 1982, the bitter struggle with the miners in 1984-85, the deregulation of the City in 1986, the disastrous introduction of the poll tax, and the high drama of her resignation in 1990. Yet none of this makes sense without a bit of context. For when Margaret Thatcher won power in May 1979, it was against the backdrop of perhaps the gloomiest decade in modern British history. Shorn of its empire, Britain now cut a very miserable figure on the world stage. For at least two decades we had been falling behind our rivals, and now the contrast was painful to see. Britain's average inflation rate for the 1970s was 13%. West Germany's was just 5%. Our unemployment rate was 4%. Theirs was only 2%. Our major cities seemed shabby and seedy, our newspapers were full of strikes and walkouts, almost every week seemed to bring some new atrocity in Northern Ireland. Over the course of the 1970s, two Prime Ministers, Edward Heath and James Callaghan, had been broken by the trade unions, while a third, Harold Wilson, descended into paranoia. Foreign papers talked of Britain as the Sick Man of Europe. Callaghan himself told his Labour colleagues: "If I were a young man, I would emigrate." Margaret Thatcher's achievement, as many of her opponents now admit, was to blow away the stale winds of decline. At first, with unemployment soaring and the inner cities ablaze, she seemed certain to go down as a one-term fluke. But victory in the Falklands in 1982, when she risked her entire career on a desperate gamble to retake the islands from Argentina, changed her political image. The lame duck had suddenly become Britannia incarnate - military success had won her the time she needed. And by the time she left office, Britain was unquestionably a more open, dynamic, entrepreneurial and colourful society than it had been in the 1970s. Taxes were lower, strikes were down, productivity growth was much improved and far from fleeing Britain, as they had once threatened to do, foreign investors were now queuing to get in - a trend symbolised above all by Nissan's groundbreaking investment in the North East of England. There is no getting away, though, from the fact that this came at a very heavy cost. During the early 1980s, unemployment reached a record 3.6 million, though some estimates suggest that the real figure was much higher. The real question, though, is whether this could realistically have been avoided. It is a myth that Thatcher single-handedly ended the era of full employment - in fact, unemployment had already hit 1.5 million under Callaghan. Indeed, whether you see it a land of opportunity or a selfish society, Thatcher's Britain was as much our creation as it was hers. Her supporters laud her as the woman who saved her country, her critics damn her as the woman who destroyed it. But historians will surely reach a more nuanced verdict. Even if she had never been prime minister, many of the changes she came to represent, from privatisation and deregulation to the death of heavy industry and the rise in unemployment, would almost certainly have happened anyway, only more slowly. With her characteristic blend of high principle, tactical opportunism and populist rhetoric, Thatcher came to embody the trends that transformed British life. Yet the old working-class world of busy factories, crowded pubs and cobbled streets was already dying, while a new Britain, more ambitious, more materialistic and more individualistic, was already emerging. If she had fallen under a bus in 1978, would Britain today be so different? Her champions and her critics would answer with a firm yes. But I doubt it. In the end, you are left with the woman herself. Indeed, the very fact that she was a woman may well have been the most remarkable thing about her. It is astonishing to think that when Margaret Thatcher first joined the cabinet in 1970, the Wimpy hamburger chain still banned women from coming in late on their own on the bizarre grounds that only prostitutes would be out at that time of night. Indeed, there is a supreme irony in the fact that Thatcher, who loathed feminism, came to embody the extraordinary expansion in the horizons of Britain's women, which was arguably the single biggest social change of the 20th Century. And in several centuries' time, when the minutiae of the Falklands War or the poll tax have been forgotten, I suspect that what Britain will remember about Margaret Thatcher is the simple fact of her femininity. Thatcher herself might not agree, but in the end, the interesting thing about the Iron Lady was not that she was made of iron. It was that she was a lady.